The Wyvern Wars have begun! Dream Angel faces an impossible foe: Nyxus, who has transformed into a Wyvern thanks to a rare eclipse. 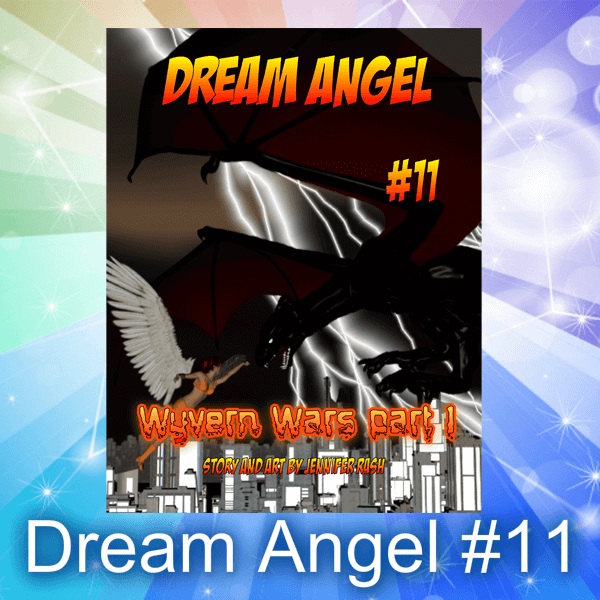 Dream Angel not only has innocent earthquake victims to save, but now she has to save her family and world from Nyxus! Will she succeed? Will her friends be able to help her? This is an amazing continuation to the Dream Angel series that won’t disappoint fans in the slightest! Stunning art, combined with fast-paced storytelling makes for an awesome tale readers of all ages will love!